Posted on Friday, October 05, 2018 by "K". 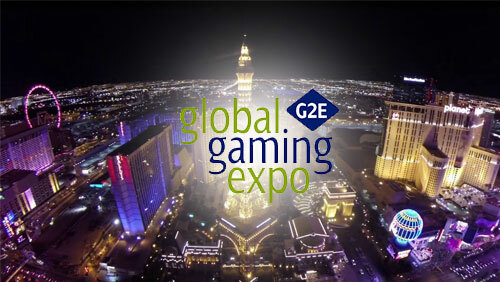 The Global Gaming Expo (G2E) held annually shall kick off on October 8 Monday next week at the Sands Expo and Convention Center in Las Vegas, Nevada, and the main topic would be sports betting. Presented by the American Gaming Association, G2E shall be holding a sports betting symposium for the first time ever. 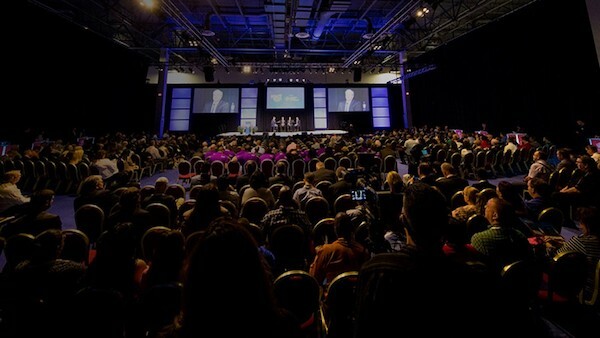 In August, North America’s premier international gaming trade show displayed the full schedule and its speakers for the symposium. The symposium will run from October 8 to 11, 2018. As an attendee, you’d get the chance to interact with some of the leaders and influencers in the gaming industry. Every session will focus on a specific topic and will have three speakers. For instance, the session on “The Challenges of Being a Sports Betting Operator in the US” will feature speakers Scott Butera (President Interactive Gaming, MGM Resorts International), Justin Carter (General Manager, Penn National Gaming, Hollywood Casino Tunica, Resorts Casino Tunica & 1st Jackpot Casino Tunica), and Christian Stuart (Executive Vice President of Gaming & Interactive Entertainment, Caesars Entertainment). Other speakers at the sports betting symposium will include ESPN anchor Scott Van Pelt, the New Jersey Division of Gaming Enforcement Director David Rebuck, and William Hill US CEO Joe Asher. Last week, the American Gaming Association (AGA) testified in front of Congress to aid federal lawmakers decide how to play their hand. The casino industry is against new federal sports betting mandates. According to Eilers & Krejcik Gaming research group, even if the Las Vegas Strip’s suffered from recent hardships, the casino industry in America is at record levels when it comes to gambling profits. However, sports betting presents a whole new opportunity for opening up a new market worth about $15 million. 10 comments for "G2E Sports Betting Symposium to Feature New US Sports Betting Changes"
As expected, "the juice is in the last paragraph i think" we can see what has happened with all the changes in usa with online gambling laws. "According to Eilers & Krejcik Gaming research group, even if the Las Vegas Strip’s suffered from recent hardships, the casino industry in America is at record levels when it comes to gambling profit"
Due to the fact that I live in Russia for me, this conference is absolutely uninteresting because there will be some changes in sports betting then it will affect only US citizens. Yeah, but indirectly will effect you as well since legalizing gambling on a federal level opening up a lane to many online outlets to welcome back americans under their tent IMO. I'd rather play poker against them than against russians. the online market will be flooded again with all sorts of sites. Sports bets are successful because many players are trying to earn money from these events and sometimes is very easy. I agree with this symposium. I'm curious what will be said there but i think the experts will do their job with elegance. I think less Vegas centered the gambling world become the more popular it will be. This not a knock on Vegas, but most people who wants to bet are more likely wanting to use his phone or pc to do it rather than travel to Atlantic City or Vegas. Offshore gambling shops online already established themelves online and more tax revenue generated from this more accepted it will be in general. Still exist plenty of people who want to visit Las Vegas. They have seen it in movies, TV, the internet or in print media. I would have liked to visit the city but i do not like the suffocating heat. I would have liked to have a better climate to visit the city and on foot. About the symposium, i do not know how many people will be interested but hould also be shown on an online site.